Sierra Sales is a manufacturers’ representative for electronics manufacturers. Since incorporating in Colorado in 1996, Sierra Sales has grown to become a leading sales force in the Rocky Mountains states. Sierra Sales represents top tier manufacturers of industrial and embedded computing, data acquisition, enclosures, cases and rugged communications products. With solutions ranging from board-level to turn-key, we can fill nearly every hardware requirement for a given system: enclosure, computer, display, power supply, backplane, I/O, storage, network, cabling and more. We partner with industry leaders such as Amphenol, Elma, GE Intelligent Platforms, Moog, Pelican-Hardigg and many others. We have the hardware to solve problems for both OEM and end user. 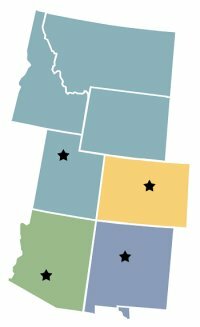 Sierra Sales provides professional sales representation for the seven-state Rocky Mountain region. That’s 745,309 square miles! Our territory includes Arizona, Colorado, Idaho, New Mexico, Montana, Utah, Wyoming and El Paso County, Texas. 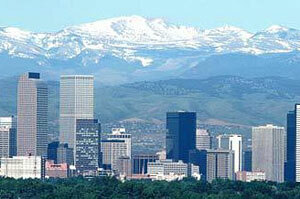 We staff sales offices in the major cities of the Four Corner states — Albuquerque, Denver, Phoenix and Salt Lake City. Two administrative offices are located in Vista and Valencia, California. Sierra Sales is committed to the best service possible. We deploy one of the most technical teams in the area. Our sales members have a strong technical background and engineering experience. Each has sold electronics and computer technology for at least 20 years. To keep our skills sharp, we attend product and technology training each quarter. Sierra Sales has won several awards for outstanding performance.